The job market is teeming with eager candidates, and applying for a new position isn’t always easy. Fortunately, you can improve your chances of success by preparing a resume that exceeds hiring managers’ expectations. One way to do this is to create a visually-appealing document with an aesthetic that suits your industry. As to the actual content of your resume, you can keep things interesting by using strong language and keywords, offering hard data, and arranging the information logically. Ultimately, your goal should be to demonstrate your value as an employee by presenting tangible evidence of your skills and successes. Our perfect resume templates can help you meet this goal, make an impression on recruiters, and get one step closer to the position you desire. Why Use Perfect Resume Templates? In industries such as technology and design, it is important to demonstrate you are up-to-date on trends. Our modern perfect resume templates can infuse some contemporary flair into the rundown of your career. Features like subtle shading, clean lines, and cool hues help delineate each section and keep the information flowing logically. 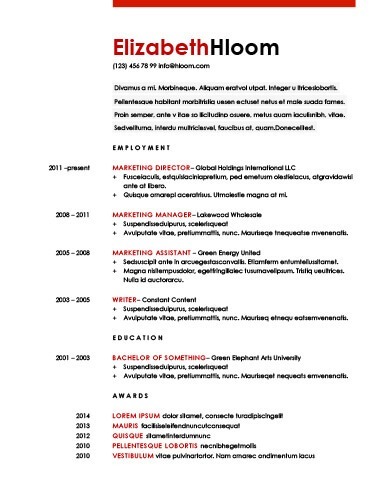 For many jobseekers, the classic one-page resume is the most appropriate option. 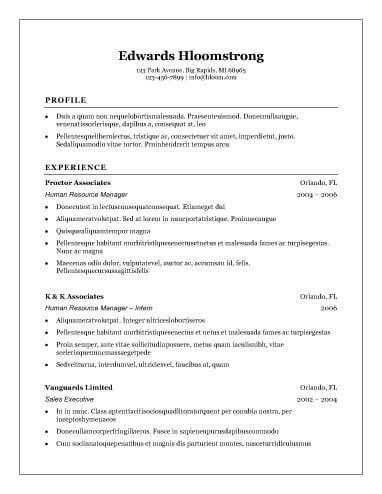 It can be difficult to use this limited space wisely, but our one-page perfect resume templates can be quite helpful on that front. From formatting tips to layout suggestions, they contain numerous pointers for maximizing the impact of a single page. If you are still in school or will graduate soon, you have unique needs when it comes to creating your resume. You do not want recruiters to overlook you because you do not have much experience. Our entry-level perfect resume templates can help you frame your existing experience in a way that emphasizes your qualifications and potential. Even if you are taking your career in a new direction, you might still have years of useful experience under your belt. Choosing a functional resume lets you call attention to the ways you have grown as an employee without tying your growth to a particular industry. Demonstrating your adaptability can help simplify the career transition. Some recruiters dislike cluttered resumes, so it is often smart to opt for a streamlined look. Our clean perfect resume templates combine white space, contemporary fonts, and classy colors into readable documents that get your point across. With seventy template options available, you can easily choose a look that reflects your personality while remaining professional. Use your full name and a reliable phone number. It is always smart to include an email address, but if you are still using the goofy screen name you created in middle school, then it is time to open a new account. Do not forget links to your professional website, LinkedIn profile, and any other relevant web pages. Generally, you are only expected to provide your city and state, as opposed to your full address. This section should be brief, but powerful. Look at the job description and frame your experience in a way that solves the employer’s problems. Pull keywords from the job description and incorporate them into your statement. Incorporate keywords from the job description to help you stand out to Applicant Tracking Systems. Rewrite this section for every job application in to maximize its impact. Include both soft and hard skills. Your approach to this section will vary based on your level of experience. Recent graduates can include college internships and summer jobs. Only include information from more than 15 years ago if it is highly relevant to the new position. Use four to six bullet points per position, and begin each one with an interesting action word. Provide specifics whenever it strengthens your case—for example, you can say you "Led team of eight employees" or "Acquired 30 new clients in one quarter." Place more emphasis on this section if you are a recent graduate. Include your degree title and major(s). Do not include your GPA if you already graduated. When you are beginning any kind of arduous task, getting started is often the hardest part. If you know you need to write or update your resume, you might find yourself feeling overwhelmed just thinking about it. Using a resume builder can be a virtually painless way to get the ball rolling. Resume builders create first drafts based on information you provide. Then, you get the chance to dive in and create the finishing touches yourself. * Choose a format and design that align with your work history and desired industry. * Enter information about yourself and your previous jobs. * The resume builder generates a sample resume based on your entries. * Edit the document to fully reflect your qualifications and abilities. Some resume builders also contain additional tools like cover letter assistance and practice interview questions. Whether you prefer to use resume builders or perfect resume templates, there is never a wrong time to start invigorating your job search.